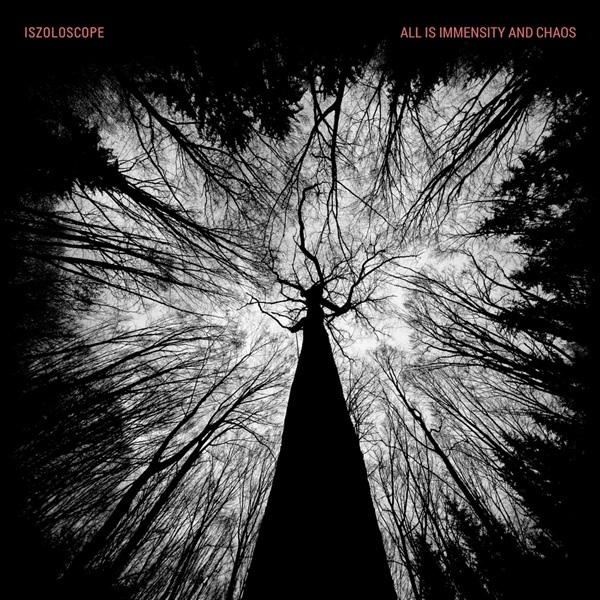 all is immensity and chaos - a conclusion that can often be reached through decades of artistic experience, and after decades of working with sounds and visions this saying was chosen by canadian artist yann faussurier as the title of iszoloscope's eighth album. an aggressive, yet melodic release of great diversity showcasing a wide variety of styles and influences where industrial music of the highest quality sets sail into idm territory. all is immensity and chaos - a unique and intelligent fusion of sinister ambience, wailing electronics and deep reverberated martial percussion on a bed of distorted glitches and droning pads. frenetic grooves, precision samples and angelic female voices transmit cinematic, disarming atmospheres in which melodic motifs are perfectly in balance with the harsh sound architecture. all is immensity and chaos - an important, tightly constructed and mature album with a clear progression from start to finish. a multilayered musical and personal statement. highly recommended.